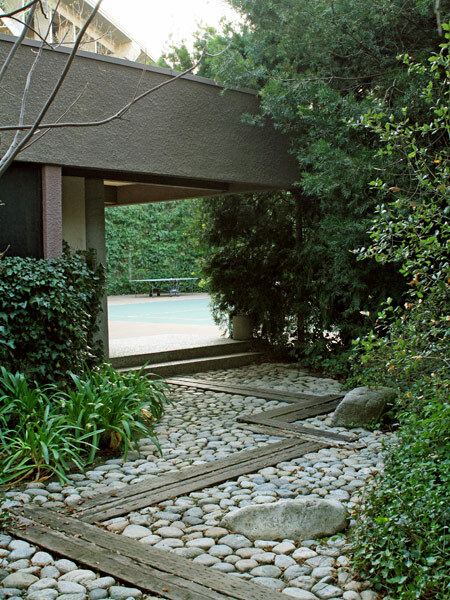 Designed in 1978 by architects Conrad Buff and Donald Hensman, the King residence and gardens represent the culmination of over forty years of collaboration between the architects and their longtime landscape contractor, Howard Oshiyama. 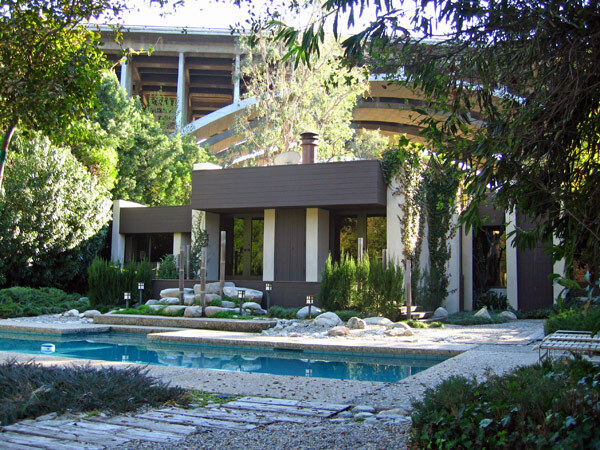 Built for Richard and Carol King who sought a home “hidden away in nature,” the property is situated on the banks of the Arroyo Seco River in the shadow of the Pioneers Bridge. 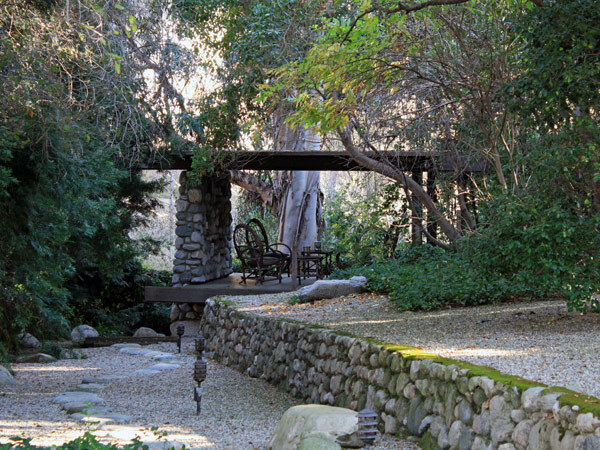 Between 1886 and 1889 James W. Scoville built river stone retaining walls along the Arroyo Seco in an effort to create Pasadena’s first park. 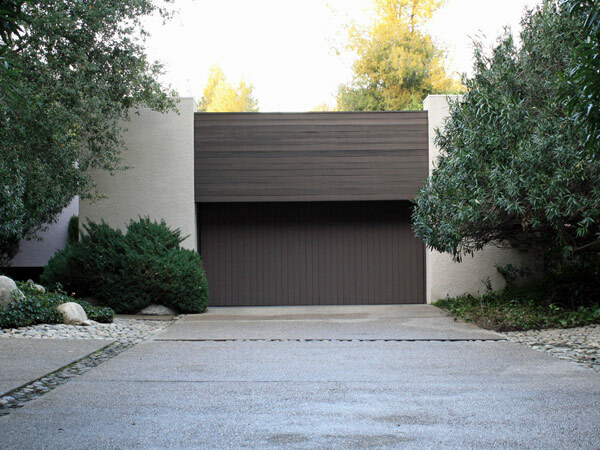 Conrad Buff incorporated these walls into the original landscape plan for the Kings and planted acacia, eucalyptus, and oleander along the pathways throughout the property. 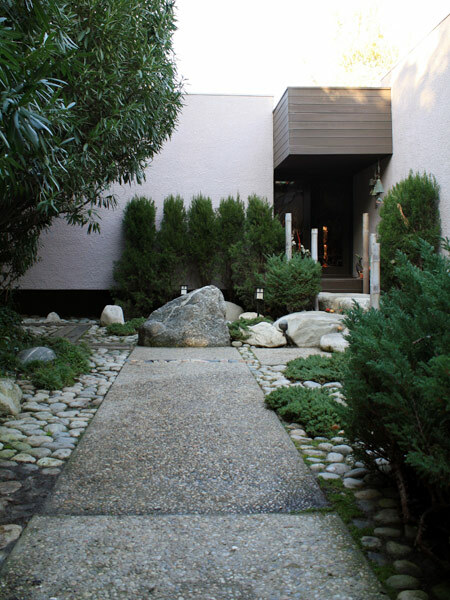 Oshiyama later expanded the plan to include many elements found in Japanese landscape design, including clusters of natural rocks juxtaposed with tall evergreen shrubs and meandering paths that invite contemplation. 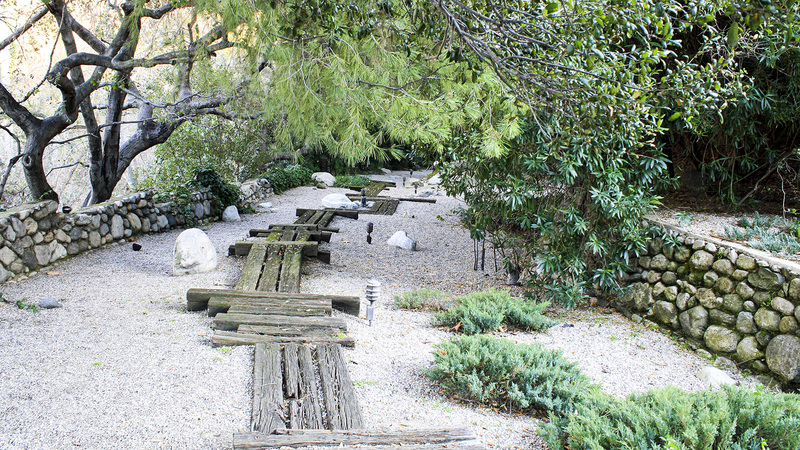 The concrete aggregate entrance walk is lined with large white river stones and evergreen shrubs, while the pathways along the perimeter of the property by the river are more ephemeral, made from wooden railroad ties set in gray gravel. 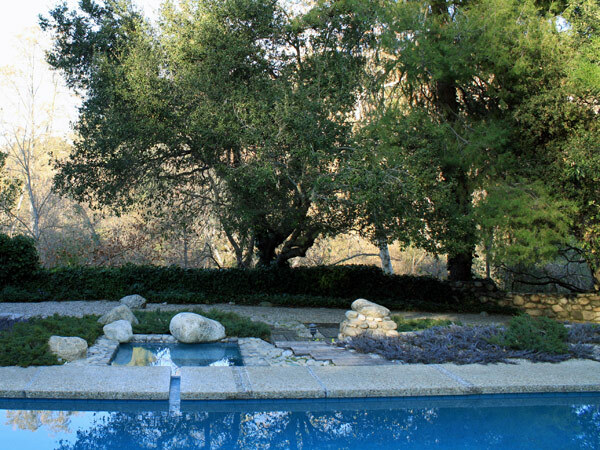 Pine trees planted by the river at the base of the retaining wall filter the view of the San Gabriel foothills, a backdrop of borrowed scenery for the garden. 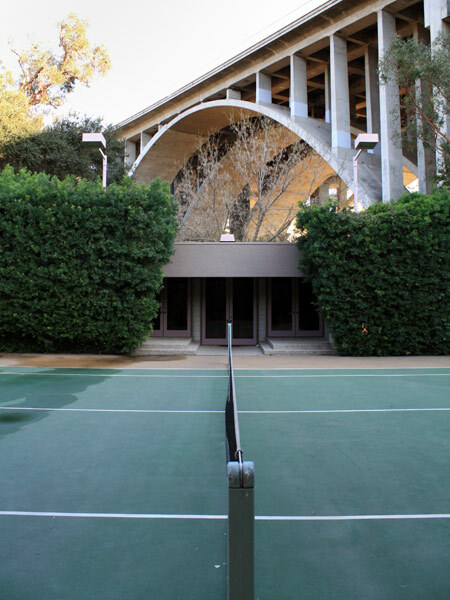 A tennis court and pavilion were added in 1985, and a gazebo was completed in 1993. Today Oshiyama’s work on the property is maintained by his son and grandson who have continued the family business.